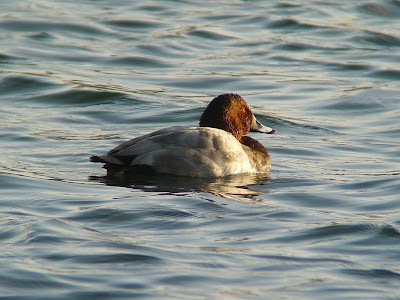 Bird News: Ibsley Water - red crested pochard 5 (4 drakes, 1 duck), green sandpiper 1, dunlin 7 (but I only saw 5), pochard c30, yellow-legged gull 3+ (at dusk), Egyptian goose 3, peregrine 1. Ivy Lake - Cetti's warbler 1 (calling), water rail 1 (calling). 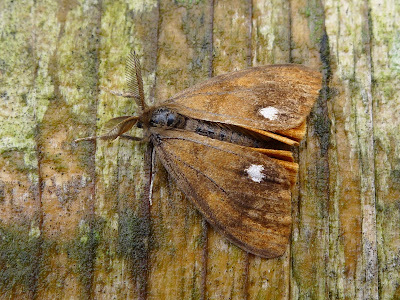 The night was cool and the moth trap contained rather little as a result, but this little did include a December moth. 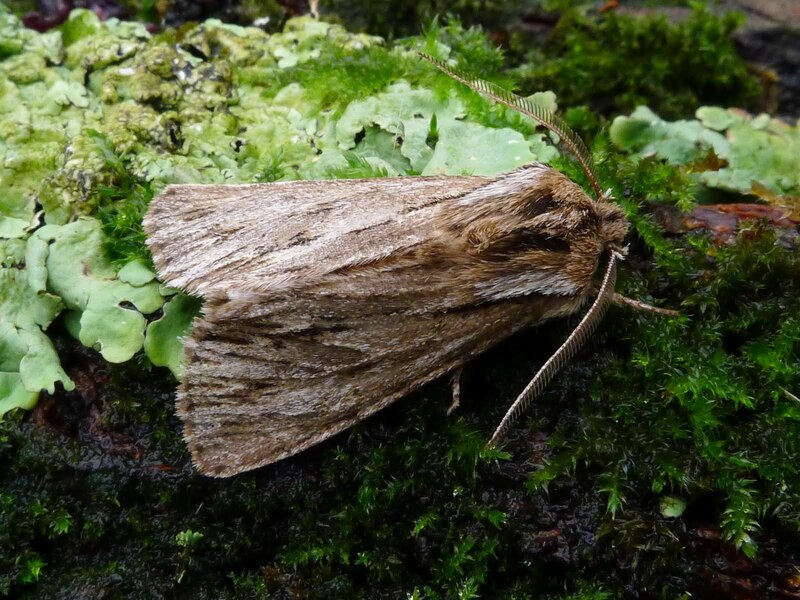 There was also another well furred species, a sprawler. As it was the first Sunday of the month, nine volunteers came in today. Unfortunately my plans for the morning were scuppered by reports of an escaped pony, so off we went to try and reunite it with the other seven. For some reason a whole section of fence had been knocked over, I would guess that the animals had been spooked or chased and blundered into the fence in the dark. After a certain amount of discussion we arrived at plan and better still it worked. The fence was then repaired and we returned to the Centre. We now had only half an hour to do something so we sorted the tools in the store so that we could make enough space to stack the maize sweepings we were donated yesterday, it makes ideal winter feed for finches. We also sorted some rubbish and came across a group of queen wasps gathered for hibernation, they appeared to all be German wasps. 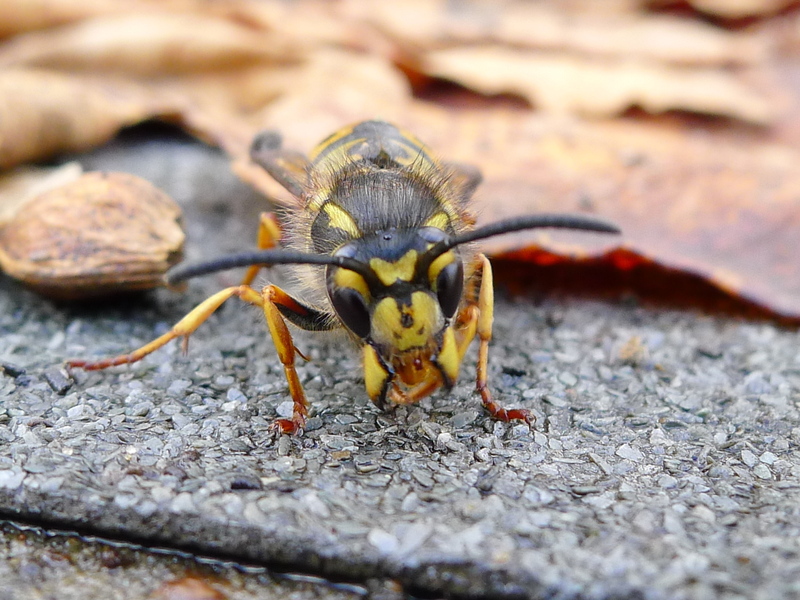 The three dots on the front of the face along with four on the rear of the thorax identify the species. 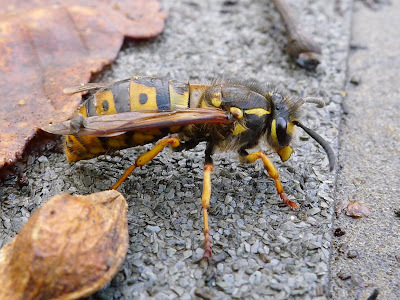 Although this does not seem to have been a really bumper year for wasps at Blashford there do seem to be a very large number of queens about now, perhaps the warm autumn has enabled more than usual to be produced. The bird highlight of the day was the group of 5 red crested pochard that spent the day near the northern shore of the lake. The very bright, clear light made the drake's ginger heads and red bills shop up well even at the long range. 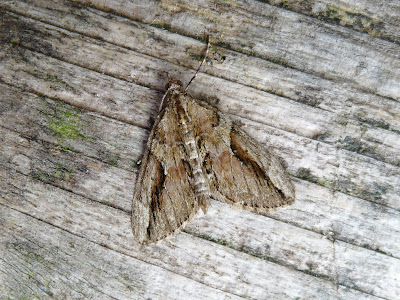 Only briefly at Blashford today, just about long enough to open up the hides and check the moth trap. Despite a wet night the moth trap was quite busy, there were a lot of "November" moths, a groups of species that cannot reliably be separated by sight. 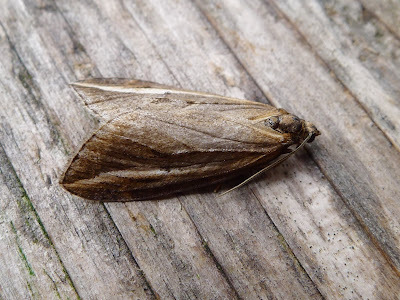 There were also 2 streak, only ocassional at Blashford. 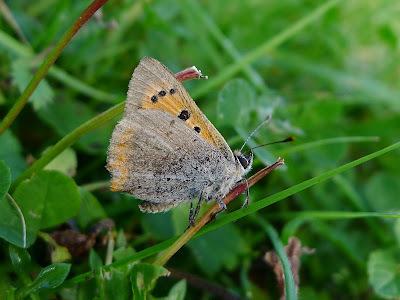 Less frequent still was a cypress carpet, these are not rare but as their caterpillars mainly eat ornamental conifers they are usually found in gardens. Bird News: Ibsley Water - goldeneye 2. The night had been mild, if very wet, luckily the moth trap at Blashford can be run under the eaves of the building and it had managed to stay dry and had a good haul of moths. 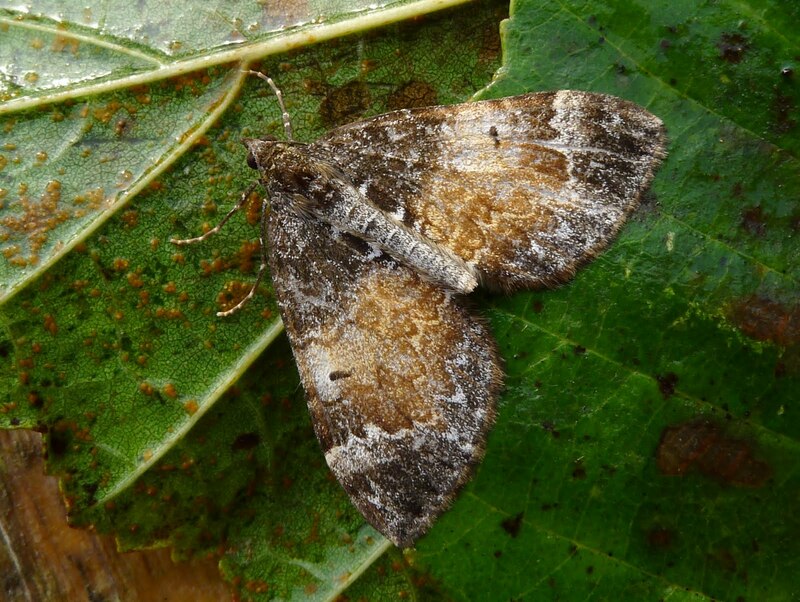 These included a male vapourer, not that females would ever come to light as they do not fly. The males seek out the females as they emerge from the cocoon using the feathery antennae to detect the female pheromones. 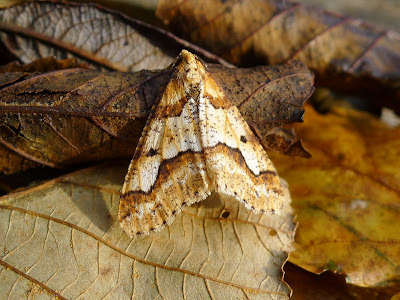 Other moths included 2 rusty-dotted pearl, a vestal and the common marbled carpet below. 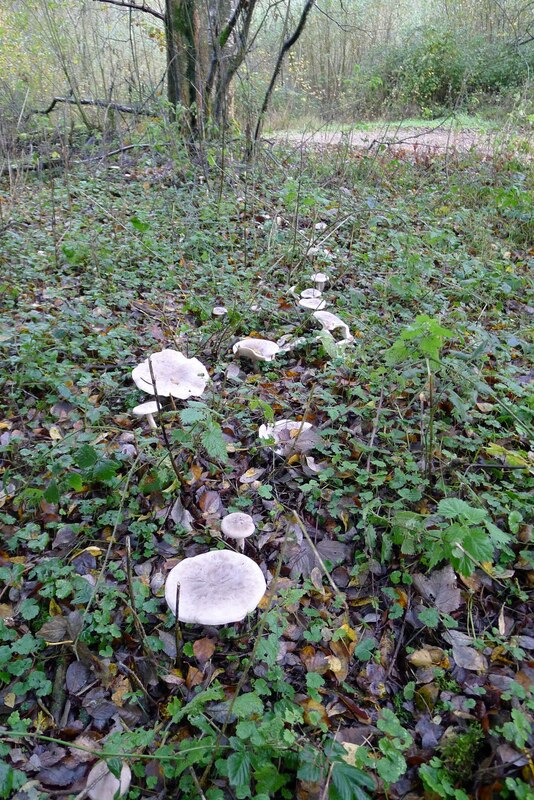 We are definitely edging into late autumn now, the recent rain has coaxed out some more fungi and as I took the picture below I heard my first Blashford fieldfare of the season. Just to the right of this picture Michelle saw an owl perched in a clearing, she thought it was a tawny owl, and it might have been. However some hours later a short-eared owl was flushed from the same area, so I suspect that is what she saw. This is certainly the first record for the reserve, at least since 2006, unfortunately I missed it. There was also a "new" goldeneye on Ibsley Water this morning, very obviously a young drake. The volunteers were in again today and we cleared more of the view from the Ivy North hide and I made a start on a "Bittern channel", I will have to refine the line over the next week or so though. Then we will just have to wait and hope for some bitterns. I have no bird news, or indeed much else to report today, the day was fine at first and grim at the last. 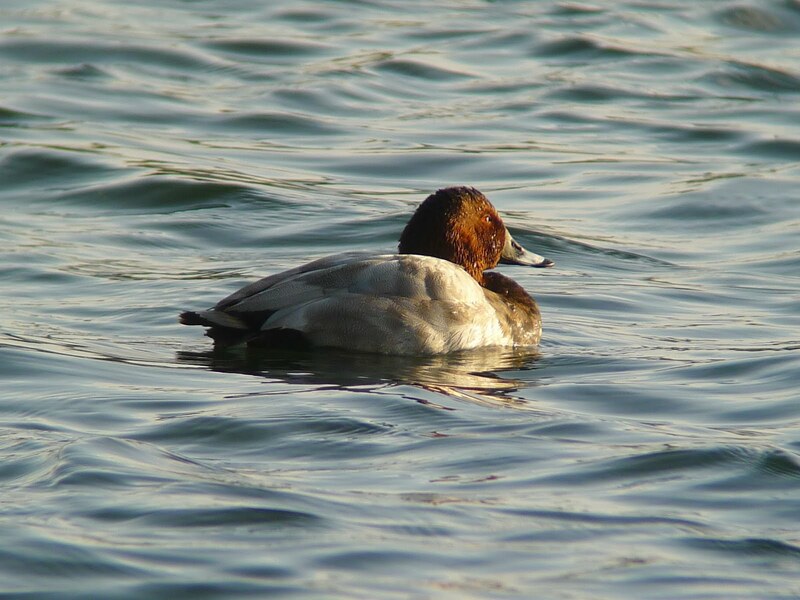 The picture of the drake pochard here was taken in the fine bit. I spent the day blowing leaves and clearing small trees from under the electricity lines, which largely accounts for the lack of bird sightings. I realised after yesterday's post that I had forgotten to mention perhaps the best sight of the day. We were sorting out the diaries up to the end of the year and sitting beside the Centre pond as we did so, when a rustling was heard. The Michelle then spotted a mole which dashed out and back from the picket fence. Then as we watched two moles came racing, yes racing, along the fence edge over the stones. We assume one was chasing the other off, the lead mole nipped through the fence and slipped into the pond, swam a short way and disappeared under the boardwalk. Running over the stones they were surprisingly fast although they had the look of a small mammal in a sack race. Bird News: Ibsley Water - goldeneye 1, goosander 10. Mockbeggar Lake - little egret 12, great white egret 1. Ivy Lake - water rail 2. The moth trap was quite busy this morning after a mild night, nothing new for the year, but a merveille du jour and a mottled umber were both good to see. The mottled umber is pictured below. 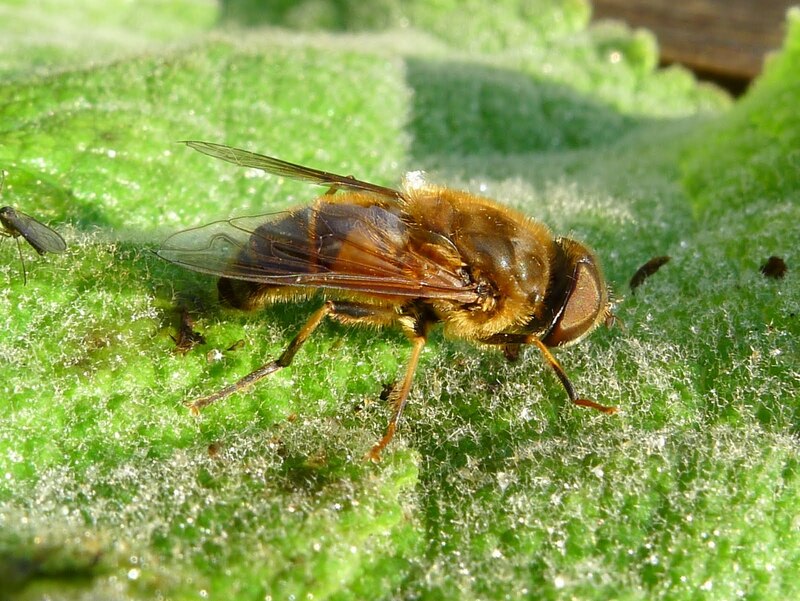 As well as the moths a single hoverfly was also in the trap, an Eristalis pertinax a species that will hibernate and fly again in the spring. I had to go and look at the fence along the northern shore of Mockbeggar Lake in the morning as we are looking to replace the old fence, which has seen better days. Looking across the lake a group of egrets included the great white egret, I gave digi-binning a try and the result is below. The sun was out for much of the time and I saw several insects including migrant hawker dragonfly, several red admirals and a late small copper. 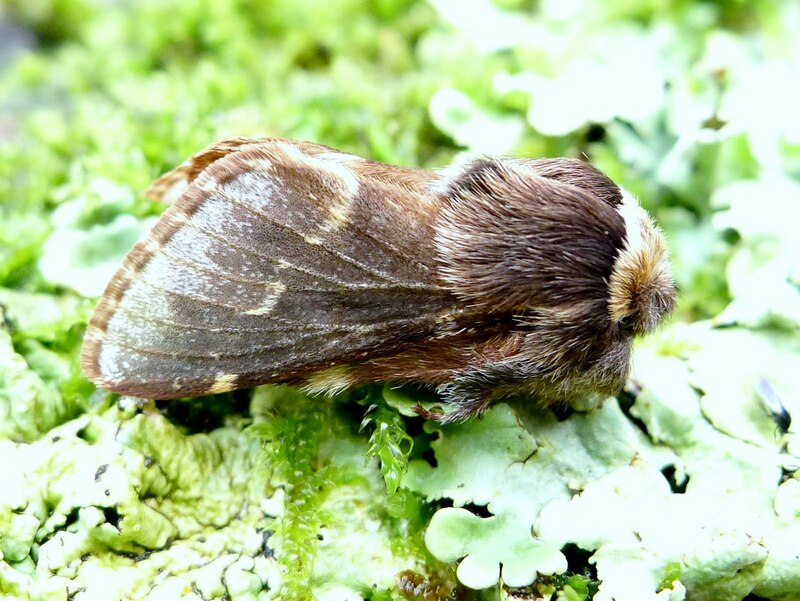 The copper was very worn, perhaps not surprising at this late date, but it did allow a picture. 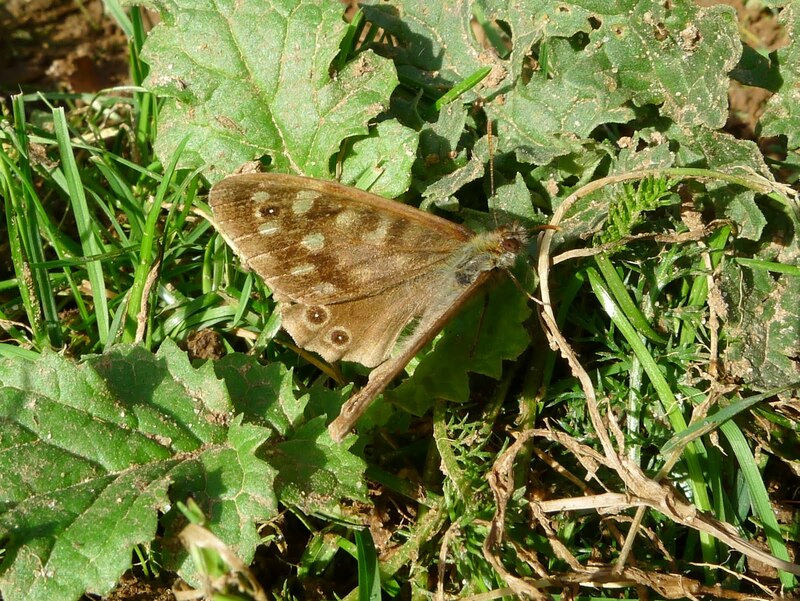 Less surprising was a speckled wood, I usually see one or two in November and today was ideal for them. This too was a very worn individual. Despite these reminders of summer there was no doubt that it is autumn, the light, the dampness in the air and even the smell of the day all spoke of autumn. 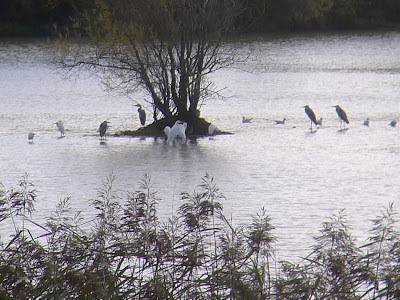 When I went to lock up the Tern hide, I had just sat down to have a quick last look, when all the birds from the eastern side of the lake suddenly dashed westwards, in flight or, in the case of the coots by pattering over the surface. At first I though there must have been someone on the bank near the Goosander hide, but looking that way I saw a buzzard perched in a tree, so not a person, but what? Then I noticed the gulls circling over the lake just out of sight to the east of the long shingle spit, there was obviously something in the water they did not like. My guess would be an otter, the reaction of the birds was typical and although it did not come into view I am pretty sure that if I had been int he Goosander hide that is what I would have seen. Autumn has definitely arrived. 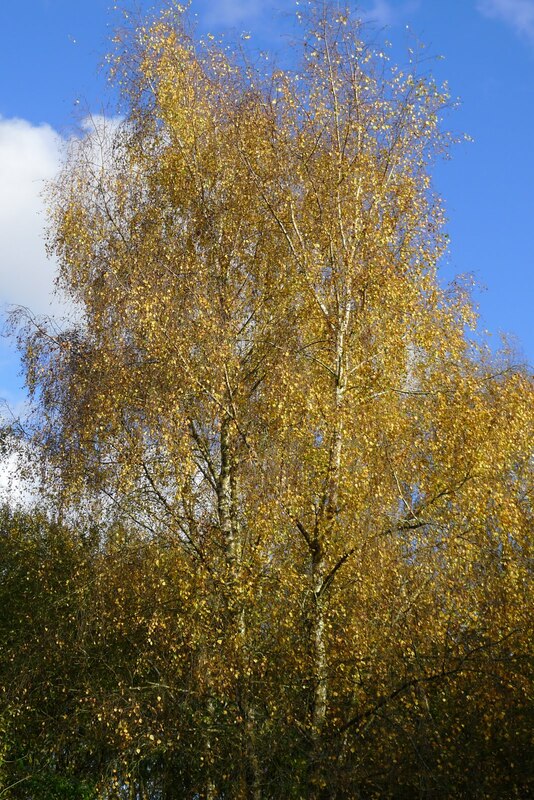 Although the temperature is still eerily warm it is starting to feel more autumnal on the reserve and the trees are starting to turn. Not much to report except a very exciting sighting of a mammal, its head popped up out of the water and it then swam across the far side of Ivy Lake. This was viewed from Ivy South Hide by one of our volunteers visiting the reserve with his family. Suspect = otter! And this badger eye view of Woodland Hide! I leave you with some yellow spiky fungus I found growing on a log. It looked a little bit like a bright yellow hedgehog!